Oomph! Those words feel like a punch to the gut of the employee on the receiving end, and for the leader delivering the bad news, those words create anxiety and many sleepless nights leading up to that difficult conversation. No leader likes to see an employee fail on the job. From the moment we start the recruitment process, through interviewing, hiring, and training, our goal is to set up our employees for success. It takes a tremendous amount of time, energy, and expense to bring new people into the organization and ramp them up to full productivity, so it’s in everyone’s vested interest to see an employee succeed. Yet we all know there are situations that, for whatever reason, an employee struggles on the job and there isn’t much hope of turning it around. I recently met with a group of HR professionals and line managers to debrief employee termination situations. As we reviewed the cases at hand, the following nine signs emerged as warning signals, that had they been heeded early on in the employee’s career, a termination decision could have been made much earlier in the process that would have saved everyone a lot of heartache and the company a lot of money. Any one of these signs is alarming in and of itself, but when you combine all of them together…KABOOM! You’ve got an employee meltdown waiting to happen. 1. Things don’t improve with a change of scenery – Maybe it’s the relationship with the boss, certain peers, or the nature of the work has changed and the employee is struggling to perform at her best. Whatever the reason, moving the employee to another role or department can get her back on track. I’ve done it myself and have seen it work. But if you’ve given someone another chance by giving them a change of scenery and it’s still not working out, you should be concerned. The scenery probably isn’t the problem. 2. You feel like you have to walk on eggshells around the employee – We all have personality quirks and some people are more difficult to work with than others, but when an employee becomes cancerous to the morale and productivity of the team and everyone feels like they have to walk on eggshells around the person for fear of incurring their wrath, you’ve got a serious problem. Don’t underestimate the destructive power of a toxic, unpredictable employee. 4. Trouble fitting into the company culture – Perhaps one of the earliest signs that you have a failing employee is noticing she is having significant trouble adapting to the culture of the organization. There is a natural transition time for any new employee, but if you’re constantly hearing the employee make negative comments about how the company operates and criticizing leadership, or not developing solid relationships with others and becoming part of the team, warning alarms should be going off in your head. 6. Distorts or manipulates the truth – I’ve dealt with employees who were very skilled at manipulating or distorting the truth. In whatever difficult situation they were in, they would find a kernel of truth to justify and excuse their involvement to the point that I would feel compelled to side with them. I learned you have to be discerning and consistent in your approach to dealing with manipulative people and make sure you document your interactions so you have sufficient data to support your termination decision. 7. Unseen gaps in performance – One of the most challenging situations is when an employee seems to be performing well by outside appearances, but when you explore behind the scenes you discover there are gaps in her performance. Maybe it’s sloppy work, not following correct procedures, or even worse, being intentionally deceptive or unethical. Be careful, things may not always be as they seem. 8. A trail of broken relationships – Employees don’t have to be BFF’s with all of their coworkers, but they do need to respect others and be able to work together. A person may be a high-performer in the tasks of her job, but if she can’t get along with other people and has a history of damaging relationships with colleagues, eventually there will come a point where her contributions are outweighed by the damage and drama she creates. 9. Passive-aggressive behavior – You know those smiley-face emoticons at the end of slightly sarcastic and critical emails? A classic example of passive-aggressive behavior where the sender is trying to couch her criticism in feigned-humor. This is toxic and can be hard to manage because it manifests itself is so many ways that appear to be innocuous in and of themselves. Veiled jokes, procrastination, sullenness, resentment, and deliberate or repeated failure to follow-through on tasks are all signs of passive-aggressive behavior. Be careful…very careful. The number one job for a leader is to help his or her employees succeed. Before an employee is terminated, a leader needs to be able to look in the mirror and honestly admit that everything possible has been done to help the employee succeed. These nine warning signs should serve as critical guideposts in helping any leader be alert to a failing employee. Technology and social media has allowed us to be more connected than ever before, yet our society is suffering from an epidemic of loneliness. How is that? Our technological tools have allowed us to be more collaborative, increase efficiencies, powered innovation, and allowed us to tap into information and knowledge at record speeds and levels. At the same time, those devices and technologies have given rise to a collective sense of distraction among its users, provided constant interruption, and replaced strong relational bonds with weak ties. It has also contributed to record levels of disengagement and low trust in the workplace. In his newest book, Back to Human—How Great Leaders Create Connection in the Age of Isolation, Dan Schawbel details how technology is isolating us at work, and he provides a road map for how we can develop more human-focused workplaces by fostering connected relationships on a personal, team, and organizational level. In order to develop a connected and engaged workforce, Schawbel recommends leaders focus on four factors: happiness, belonging, purpose, and trust. Research has shown that employees who consider themselves happy at work are more likely to refer new candidates to the company, brag about the organization online, work harder, and are less likely to jump ship. Schawbel cites the research by Shawn Achor, author of The Happiness Advantage, who found that happy employees have an average of 31% higher productivity, 37% higher sales, and are three times more creative. Simple acts of kindness, getting to know employees on a personal level, and helping employees with work-life balance are all ways to increase happiness. Engaged employees also feel a sense of belonging to the organization. Humans are pack animals, and we like to be affiliated with organizations that appreciate our contributions and share our sense of values. So often we get focused on strategies and goals that we forget to develop a sense of community in our workplace. Studies have shown that when employees feel a lack of belonging, depression is more common, problem-solving skills deteriorate, and effectiveness on the job declines. Schawbel says leaders can foster belonging by scheduling social events, having team lunches, and creating an environment where people feel free to share information about their personal lives. Purpose is the third element of engagement that Schawbel suggests leaders focus on. When you have a purpose, you feel that you matter and that you are contributing to something larger than yourself. Having a clear purpose provides energy and direction, and it’s the fuel that keeps you going when life is busy and challenging. The tips Schawbel offers for creating purpose include helping people connect their work to the benefit it provides your customers. Bring in a customer who has been personally affected by your team’s work so they can hear and see the difference they are making. Another strategy for creating purpose is help employees understand the why of their work and how it supports your organization, customers, or the world at large. Finally, the fourth element of an engaged workforce is trust. Many leaders think by virtue of them being the boss they are trusted by their employees. Wrong. It’s not the employee’s job to give trust; it’s the leader’s to earn it. Establishing authentic, caring, and appropriately vulnerable relationships is a primary way leaders build trust with their team. You can be a technical genius at your job, honest as the day is long, and follow-through on your commitments every time, but if you don’t show any sense of personal care or connection with your team, they will always keep you at arm’s length. Trusted leaders behave in ways that demonstrate the four elements of trust, and when employees see their leaders have their best interests in mind, they will not only trust them, but will pledge their loyalty and commitment as well. Schawbel makes the point that technology isn’t all bad, but we should be more human and less machine. If we want a workplace where people engage their hearts and minds, and trust their peers and leaders, then we need to leverage technology to develop more human relationships of substance rather than connections of convenience. A Positive Culture Starts With One Uplifting Person. Will That Be You? Have you ever worked in a positive culture? If you frown, then you haven’t! A positive culture gives people wings and swings results into a positive spiral. It “broadens and builds” people and organizations as Barbara Fredrickson researched. When people feel positive, they become more open and resourceful and achieve better results which reinforces the positivity. A positive culture contributes to the bottom line as positive organizations are engaged, innovative, competitive, agile, collaborative, and productive. Isn’t that too good to be true? Well, no! Scientifically validated research shows that positive leadership (of yourself, and others) is the key to a positive culture and quantifiable positive outcomes. This is important because many people don’t believe that a positive culture is possible. Maybe you started your work life optimistically, then you turned realistic and, finally, you may feel pessimistic or cynical because your workplace is far from positive. Yet, this is what companies such as Ford, Kelly Services, Burt’s Bees, Griffin Hospital, and Zingerman’s have been doing. They prove that you can create positive change in your organization through simple actions and attitude shifts. Positive leaders can change what is “normal” and all positive cultures have four ingredients. Based on positive psychology, positive cultures cherish an “abundance mindset.” There’s trust that there will be enough for everyone and aims to enlarge the pie instead of dividing its parts resulting in winners and losers. This first ingredient, Positive Awareness, helps to see more solutions, the half-full glass, and positive potential that is waiting to be realized. We are often used to aim for the default baseline: “We fix a problem to go back to normal”. Positive cultures aim for “positive deviance” where people are performing beyond expectations but without exhausting anyone or pushing too hard. A positive culture builds on what is already working well. It appreciates people for their unique contributions. This is the second ingredient: Connection and Collaboration. It includes leadership basics such as connecting with and caring for people, being authentic and honest, communicating continuously and coaching people as well as stimulating them with compliments. The issue with positive culture is that it can sound corny. “Positive means fake smiles, slacking off, and dreaming.” Let’s quickly look at these three common objections. A positive culture stimulates people to be authentic at work so they can give their best. That includes off-days and occasional bad tempers. No need to fake a smile. Just be you and solve what you can solve – knowing that it will pass. Slacking off is the opposite of achieving positive deviance with a team. Positive leaders (and co-workers) give candid feedback to anyone who doesn’t contribute to the team as expected – and they try to help them improve. Positive people might also be more realistic than cynics. Yes, really. Research shows that we’re wired to focus on the negative because that helped us survive physical dangers. Nowadays, it’s helpful to be able to see the positive potential that’s hiding in plain sight. No dreaming needed: stay grounded and work toward the best possible outcome. So, what could you do to develop a more positive organization? What is interesting, is that organizations operate as non-linear networks. This means that you can influence your workplace. My book Developing a Positive Culture shares many tools to develop a more positive culture, with Interaction Interventions and/or Change Circles. Culture happens when people get together because they copy, coach, and correct each other all the time. Culture is sustained in every interaction so if you start changing interaction patterns, you start to influence the system. Interaction Interventions are small interactions that you can do on a daily basis to influence your meetings, co-workers, and eventually the organizational network. They are small but not insignificant, especially if you team up with like-minded co-workers. Interactions in meetings matter to the culture, so I share ways to make meetings more interactive and positive. I also share tools for leaders to work with their teams on values, purpose, positive challenges, and trust. Next, there are Change Circles if you want to enroll the whole organization in culture change. This is a larger-scale approach that works if there’s attention for personal interactions in small groups that influence the culture. So, how positive is your current contribution? What would happen if you role-model kindness, whatever your position at work? You understand that everyone tries their best, and everyone can make mistakes. So, you show compassion. You don’t take things too personally. It is safe to share “failures” or doubts with you. You are present for your coworkers and teams. You give genuine attention. You give compliments. It costs nothing. All it takes is you: the best version of you. You can start today, no matter how busy you are or how challenging it may be to see something good in your coworkers. But What If It Is Not Easy? But what if you work in a corporate environment that does not “do” kindness? You may be labeled as weak, or you may be mocked. How kindness is perceived, depends on the current culture. Yes, being kind sometimes takes courage! Yet, a positive culture can start with one person who interacts kindly and offers a positive perspective… Are you going to be that uplifting example? My book Developing a Positive Culture focuses on what you can personally do to develop a positive culture. Based on both research and practice, you’ll see how to engage your co-workers with Interaction Interventions or Change Circles. If you influence one person, one interaction at a time, you contribute to a more positive organization. Marcella Bremer, MScBA, is an author and culture consultant. She is the author of Developing a Positive Culture Where People and Performance Thrive and co-founder of the online Positive Culture Academy. 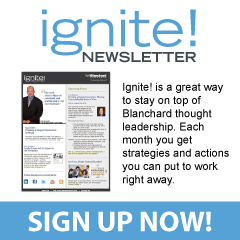 You can receive weekly inspiration to energize and engage your workplace from her blog, Leadership & Change Magazine. The ability to build and sustain high levels of trust and engagement is a critical competency for today’s leaders. In our technology-fueled, digitally connected world where new products, competitors, and business models seemingly emerge overnight, one of the few competitive advantages organizations possess is their people. The skills, talents, creativity, innovation, and passion of its people can be the difference between organizations achieving exceptional performance or wallowing in mediocrity. In order to come out on the winning side of this challenge, organizations must connect the dots between trust, leadership, and engagement. Trust is the foundation, leadership is the driver, and engagement is the goal. Trust is the foundation of any successful, healthy, thriving relationship and it’s essential to your success as a leader. Without trust your leadership is doomed. Creativity is stifled, innovation grinds to a halt, and reasoned risk-taking is abandoned. People check their hearts and minds at the door, leaving you with a staff that has quit mentally and emotionally but stayed on the payroll, sucking precious resources from your organization. However, with trust, all things are possible. Energy, progress, productivity, and ingenuity flourish. Commitment, engagement, loyalty, and excellence become more than empty words in a company mission statement; they become reality. Trust has been called the “magic” ingredient of organizational life. It simultaneously acts as the bonding agent that holds everything together as well as the lubricant that keeps things moving smoothly. Trust doesn’t “just happen” through some sort of magical relationship osmosis. It’s built and sustained through the use of very specific behaviors that align with the four core elements of trust: competence, integrity, care, and dependability. 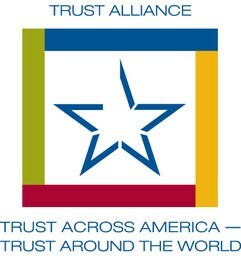 Leaders who emphasize the use of “trust boosting” behaviors cultivate an environment where employees feel safe and want to invest their discretionary effort, whereas leaders who engage in “trust busting” behaviors foster an environment of distrust and fear that cause people to withdraw and only give minimal effort. Research by Gallup has indicated that a person’s relationship with his or her direct manager is the leading factor influencing employee engagement and that managers account for 70% of the variance in employee engagement scores. The Great Place to Work Institute has documented that committed and engaged employees who trust their management perform 20% better and are 87% less likely to leave the organization. What does that mean for leaders? To a large extent, the way you lead your people has a dramatic impact on their level of engagement on the job. According to Gallup research, managers account for 70% of the variance in employee engagement scores. Situational Leadership® II (SLII®) is a model and methodology that fosters an environment of trust and engagement because it puts people first. SLII is a “people-centered” approach to leadership that looks at the needs of the follower to determine the leadership style used by the leader. The needs of the follower come before the needs of the leader. This altruistic approach by leaders builds trust because his or her followers see the leader has their best interests in mind. Leaders who effectively use SLII also develop open, honest, and transparent communication with their people. With trust as the foundation in the relationship, employees feel safe enough to ask for the direction and support they need on tasks and goals. A team member who doesn’t trust his or her leader is not going to admit to being a “D2 – Disillusioned Learner.” Admitting you don’t know something is the last thing you’ll do with a leader you don’t trust. Conversely, leaders who foster trust and utilize SLII open up the lines of communication with direct reports and are able to talk objectively about developmental needs. 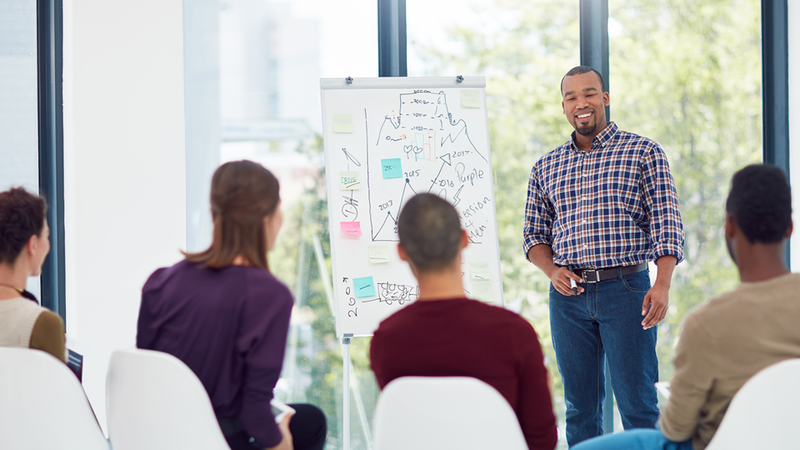 It would be overly simplistic to suggest that having a people-centered approach to building trust and employing Situational Leadership® II will produce an engaged workforce. Employee engagement is a broad and complex issue that organizations spend $720 million dollars a year trying to solve, according to a Bersin & Associates report. Bersin also highlights that when it comes to engagement there isn’t even a commonly accepted definition of the term. Definitions vary widely, with elements including commitment, goal alignment, enjoyment, and performance, just to name a few. However, it isn’t an oversimplification to state that a people-centered approach fosters an environment that allows trust and engagement to flourish and leads to organizational success. Research by renowned economist Laurie Bassi has proven that firms who put people first, as measured by the highest scores on the Human Capital Management (HCM) scale, have outperformed the S&P 500 over the past 25 years in periods of financial prosperity as well as in more difficult times. Most notably, firms with higher HCM scores are able to endure and recover more quickly from cyclical downturns in the economy than are firms with lower HCM scores. Simply stated, leaders of the best and most successful firms understand that all they have and all they hope for is due to their people, and as a result, they practice people-centered leadership. Great leaders ask great questions. Too often leaders think they are the smartest person in the room, so they are quick to offer advice, give direction, and share their perspectives on how things should be done. Most leaders do this instinctively, because after all, it’s the type of behavior that caused them to rise through the ranks. But when you become the boss, your role shifts from being the one to make things happen to empowering your team members to get the job done. You can’t do that if you’re always dominating the conversation. You need to draw out the best thinking and performance from your team members, and the way to do that is through asking great questions. 1. What are you excited about in your job? The answer to this question allows you to understand what motivates and excites your team member. When you know the kinds of tasks, activities, or projects that energize your team member, it allows you to guide them toward current and future opportunities that are similar in nature. It results in team members playing to their strengths and interests which results in greater engagement and performance. 2. Why do you stay? This is perhaps the most important question that leaders never ask. Do you know why each of your team members chooses to stay with your organization? If you did, would it change the way you relate to them? I would hope so. Knowing the answer to this question will drive the way you structure job opportunities for those employees you want to retain. For employees who have “quit and stayed,” the answer to this question will give you insight into why they are choosing to remain stuck in their current position (usually fear of change, they’re comfortable, or they’re beholden to their current salary and lifestyle). 3. What might lure you away? This is the sister question to number 2. If you’re like most leaders, you probably don’t know the answer to either one. If you knew what would lure away your top performers, you would know what you need to do to get them to stay. Asking this question sends the signal to your team members that you know they are a valuable contributor and you’re not blind to opportunities they may have elsewhere. It lets them know you are committed to doing what you can to keep them happy and engaged with your organization. 4. What would we need to do to get you to stay? Don’t wait until your employee resigns and has one foot out the door to ask this question. By then it’s too little, too late. Ask this question on a regular basis as part of longer term career development discussions. Similar to questions 2 and 3, this question allows team members to express the things they think about their employment experience that they would never say to you in any other context. Just the very fact that the leader is willing to acknowledge the employee has the potential for other opportunities and cares about retaining him/her, causes the employee to feel valued and respected, which inspires loyalty and commitment. 5. What new skills would you like to learn? Most people want to keep learning and growing in their jobs, and in fact, this desire often ranks higher in surveys as being more important than getting a raise or other forms of recognition. Many managers are afraid to ask this question because they aren’t sure if they can deliver anything in return. Even the most mundane, clear-cut jobs usually have some room for creativity or improvement, but it takes a bit of work for the leader to think outside the box to uncover those opportunities. One good place for leaders to start is to examine their own jobs. What could you delegate or share with your team members that would allow them to learn something new? 6. Are you being __________enough for now? (challenged, recognized, trained, given feedback, etc.) You’re probably starting to see a theme to these questions by now, aren’t you? Along with the others, this question allows you to probe into areas of performance that wouldn’t normally surface in your typical 1on1 conversations. We all fall victim to tyranny of the urgent and tend to focus on the immediate tasks and deadlines we face. We have to train ourselves to periodically step back from the daily grind and have discussions with team members about the bigger picture issues that define their employee experience. 7. What is making your job harder than it needs to be? The people who usually know best about what’s working and not working in the business are those on the front-lines of the action. Ask your team members about the things that are holding them back from performing better or experiencing more joy in their work, and then get to work on addressing those issues. Leaders can often make a greater impact on employee performance by removing obstacles that hinder productivity, rather than spending time on trying to create new systems, processes, or skill development programs. 8. What are your ideas on how we can improve things around here? Do you like it when your boss asks your opinion? Of course you do! It makes you feel like the boss respects your knowledge and expertise, and values your perspective on issues. Then why don’t you do the same with your employees? It’s a truism that no one of us is as smart as all of us. The power of a team is unleashed when the leader leverages the collective wisdom and experience of all its members. 9. What should I be doing more of? Unlike the other questions, this one is about you, the leader. It opens the door for you to hear from the employee about what you’re doing right, and obviously, the things you should keep doing. You may not see much value in asking this question because you believe you already have a good sense of the answer, but I encourage you to ask it anyway. You may be surprised that some of the behaviors you consider insignificant are actually the things that carry the most weight with your team members (like asking them about their weekend, how their kids are doing, taking an interest in them personally). 10. What should I be doing less of? It’s important you know this critical principle about leadership — most people won’t speak truth to power unless they believe it is safe and acceptable to do so. As a leader, it’s incumbent upon you to foster a culture of trust and safety that allows your team to give you honest and unvarnished feedback. You do that by explicitly giving permission to your team to give you feedback, and most importantly, receiving it with openness and a willingness to modify your behavior. Too many leaders only receive feedback from their bosses during the annual performance review, and although it can be helpful, it’s often from a limited and biased perspective. Great bosses seek feedback from where it matters most — their team. Being a great boss isn’t easy. If it was, the world would be full of them. Instead of relying on the natural tendency to solely focus on the here-and-now in your interactions with team members, take a step back and consider the bigger picture. Start incorporating some of these questions into your 1on1 meetings and watch for the positive impact it will have on your team members’ level of engagement and productivity. 5 Signs You Need Some Time Off…Stat! The start of this year had me feeling a bit like I was shot out of a cannon. BOOM! I hit the ground running with several important projects and I haven’t stopped. Not only has the pace stayed high, but the work itself has been arduous and energy-draining. We can sustain a high volume of work for only a certain period of time before it starts to take its toll. I’ve been noticing a few warning signs in my own attitudes and behaviors that are signaling me it’s time to rest and recuperate. If you’re experiencing these symptoms or similar ones, perhaps you need a rest too. Impatience—I don’t know about you, but when I’m feeling tired or stressed I usually become impatient. I don’t have energy reserves to call on to allow me to exercise patience. I just wish people would drive faster, lines would be shorter, and people would be less bothersome to me. Sound familiar? Loss of Perspective—Sometimes I get so far into the weeds of a particular project or issue that I lose sight of the bigger picture. I find myself stressing out over every little issue and decision, when in the grand scheme of things, those things probably won’t carry much value. If you find yourself willing to fight every battle and take every hill, you’ve probably lost perspective of the big picture. We have to pick and choose our battles wisely. Tiredness and Fatigue—When I’ve had the pedal to the metal for too long, I start to run out of gas. I get to a point where I want to hit the snooze button on the alarm clock, don’t feel energized about getting into the office, and generally just want to rest. Chronic stress will lead to these symptoms and we have to be careful to know when we’re crossing the line from normal tiredness to unhealthy levels of stress. Disengagement/Lack of Motivation—Past experience has shown me that if I don’t invest in rest and recuperation, I will eventually get to the point where I just “check out.” The major warning sign to me that I’m approaching this point is when I think to myself, “I just want to be left alone!” You know how it feels when you get to this point, right? You’re tired of all the demands on your time and attention and you just want to get away from it all. That’s when you need time off of work. There is a distinct difference between running a sprint versus a marathon. As you know, sprints are short, fast bursts of energy followed by periods of rest and recuperation. Marathons are endurance runs, with a slow and steady pace to conserve energy over the long haul. You can’t complete a marathon running at a sprinter’s pace. You have to pick one or the other. The same is true with our work. We can run sprints or marathons. We can’t do both. If you’ve been running at a sprinter’s pace and are experiencing these symptoms or similar ones, it’s a sign you’re due for a well-deserved break. What do you say we check our calendars and plan some time off? The performance of your employees is a reflection of your leadership. What does your team’s performance say about you? For many leaders, their team’s performance doesn’t say much. Gallup surveys show nearly 70% of the workforce is “not engaged” or “actively disengaged.” These employees have quit and stayed—they show up for work but do the bare minimum to get by, don’t put in any extra effort to care for customers, and are a drain on organizational resources and productivity. According to Tolero Solutions, 45% of employees say lack of trust in leadership is the biggest issue impacting work performance. Two new research reports just published by The Ken Blanchard Companies point to strategies that learning and development leaders can use to improve the level of trust in their organizations. Endorse the organization as a good place to work. Results of the survey show that trust in one’s leader has a large degree of correlation to the five intentions as a distinct unit. The research also looked at the impact coaching behaviors had on trust. There was a strong relationship between trust and the coaching behaviors of facilitating, inspiring, and guiding—and it was found that individuals are more likely to trust their leader when they perceive the leader exhibiting these coaching behaviors. Building trust with other people doesn’t just happen. It’s a skill that leaders need to develop just like any other leadership competency. If you want to have a team of high-performing employees who are engaged, loyal, and vocal supporters of your organization, focus on building trust. The results will speak for themselves. This issue presents a tremendous challenge for organizational leaders. Even worse than dealing with the effects of people who leave your organization (studies show replacing employees can be 1.5 to 3 times their annual salary), you have to manage these disengaged workers who have decided to “quit and stay.” You’re still paying them to under-perform and ultimately undermine the effectiveness of your organization! In conducting over 19,000 exit interviews of employees who voluntarily left their jobs, Leigh Branham, author of The 7 Hidden Reasons Employees Leave, identified four basic needs that weren’t being met that started people on the path to disengagement and ultimately quitting a job. The Need for Trust — The number one priority for any leader is to build trust with his/her team members. Trust is the foundation of any successful relationship, and in the workplace it’s a non-negotiable if leaders desire to tap into the full effort and passion of their employees. Employees won’t give you their best if they don’t believe you have their best interests in mind. They will shy away from taking risks or making themselves vulnerable if they don’t feel safe and trusted. They expect company leadership to deliver on their promises, to be honest and open in communication, to invest in them, and to treat them fairly. The ABCD Trust Model is a helpful tool for leaders to understand what it means to be trustworthy and build trust with others. The Need to Have Hope — I’ve had the privilege of meeting football legend Rosey Grier, a member of the “Fearsome Foursome” when he played with the Los Angeles Rams, and now a Christian minister and inspirational speaker. He said something I’ve never forgotten. When speaking about his work with inner city youth in Los Angeles, Rosey said “Leaders aren’t dealers of dope, they are dealers of hope!” So true…leaders are dealers of hope. We need to instill a sense of hope in the people we lead. Our people need to believe they will be able to grow, develop their skills, and have the opportunity for advancement or career progress. It’s our job as leaders to foster that hope and support our employees in their growth. The Need to Feel a Sense of Worth — Despite its struggles and challenges, work is an intrinsically rewarding experience for people. We derive a tremendous amount of self-worth from our work, whether it’s something we’re employed to do or whether we volunteer our time and effort. Employees have a need to feel confident that if they work hard, do their best, and demonstrate commitment and make meaningful contributions, they will be recognized and rewarded appropriately. The Need to Feel Competent — Employees need to be matched in jobs where their talents align with the challenges of the work. If the work is too simple, then it’s easy for people to lose interest and become disengaged. If the employee is in over his/her head and the work is too challenging, it can lead to discouragement and frustration. Leaders are on a constant quest to find ways to place employees in that sweet spot where they are challenged at just the right level. But it’s not all on the shoulders of leaders to do this work. Employees need to take responsibility for their own development and learn how to manage their motivational outlooks. 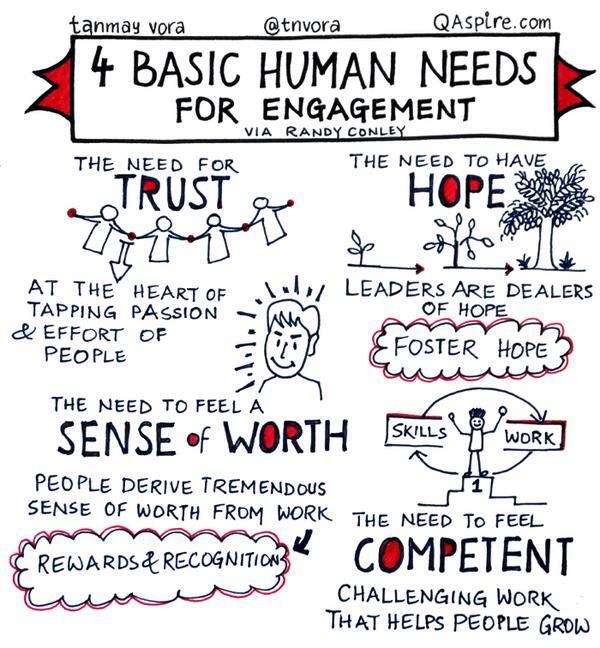 Employee engagement is a broad and complex topic, so much so that most leaders feel overwhelmed at how to make a meaningful impact. Focusing on ways to meet these four critical needs will lay the foundation for an environment where your employees develop and thrive in their roles. Climbing the corporate ladder has long been the traditional view of success in an organization. The main strategy for developing and retaining key talent has been to keep them engaged through a series of promotions and title changes that satisfy an individual’s need for growth and recognition. 1. Ask your team members what they’re interested in doing — Asking someone what they want…novel concept, huh? Many leaders choose not to have this conversation because they are afraid they won’t be able to provide what is requested. Instead, frame the conversation with your employees as a time to explore opportunities with no strings attached. I tell team members that nothing is off the table when we have these conversations and I balance it with also saying I’m not making any promises. We’re simply exploring options, yet I make it clear that I’m in the employee’s corner and will do everything in my power to help them achieve their goals if there is a way we can find alignment between their interests and the needs of the organization. 2.Don’t be constrained by job descriptions — My HR colleagues may cringe a bit with my philosophy, but I believe leaders need to think beyond job descriptions when it comes to employee growth. Too often we get locked into job descriptions as the defining scope of a person’s responsibilities, including who reports to who in the chain of command. In reality, we need to consider the job description as the broad outline of how and where the person will contribute to the organization. 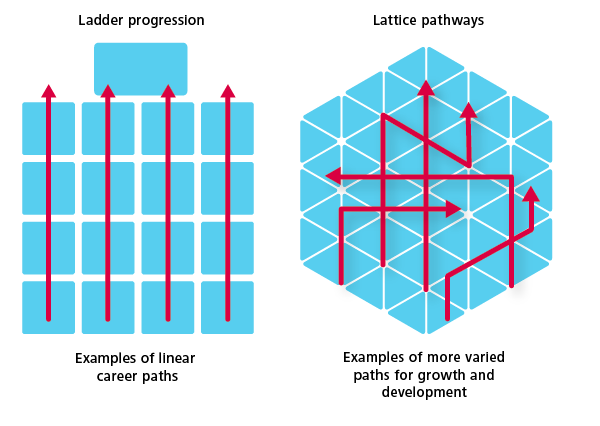 Growing in the corporate lattice requires people to take on BHAG’s (Big, Hairy, Audacious Goals) that allow them to develop new skill-sets and competencies. Leaders should frame growth as an individual’s chance for resume enhancement that will benefit them in the future, whether at your organization or somewhere else. 3. Give away parts of your job — Most leaders have far too much on their plates to accomplish on their own, so why not delegate some of your key responsibility areas to competent and motivated team members? It’s hard for some leaders to go this route because it means giving up control and trusting others. It can also be threatening to your ego, as if it’s an admission you aren’t capable of doing it all on your own. Actually, smart leaders use this strategy because it’s a win-win for everyone. Your employees get to take on challenging goals and they earn the satisfaction of contributing in important ways, and you deliver on the key objectives for your team and develop a strong bench of capable and committed team members. 4. Adopt a mindset of being a developer and exporter of talent — Leaders should consider it a fiduciary responsibility to help their people grow, even at the risk of having them leave for greener pastures at some point in the future. My experience has shown when employees clearly know you are on their side and will do whatever you can to support their growth, they devote even more loyalty to you and will stay with you as long as possible. Who would want to leave an environment where they know their boss bends over backwards to provide opportunities for growth and development? Not many. The corporate ladder doesn’t exist in many organizations these days and leaders don’t have the ability to hand out promotions like they were candy. We’ve got to have ongoing career conversations with team members, look for areas of growth beyond the boundaries of job descriptions, delegate key responsibilities to others, and be willing to invest in developing people, even at the risk of them ultimately leaving the organization. Using these strategies to navigate the corporate lattice, combined with financial models that facilitate income growth, will help you develop an engaged and passionate workforce that fuels personal and organizational success. So in an effort to equip leaders to build trust and increase recognition in the workplace, and with the U.S. Thanksgiving holiday just four days away, I thought I’d share ten easy, no to low-cost ways to tell your employees “thank you.” I’ve used many of these myself and can attest to their effectiveness. 4. Reach out and touch someone – Yes, I’m plagiarizing the old Bell Telephoneadvertising jingle, but the concept is right on. Human touch holds incredible powers to communicate thankfulness and appreciation. 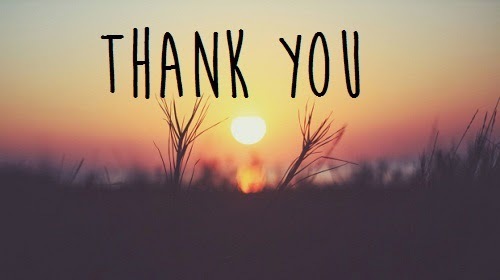 In a team meeting one time, my manager took the time to physically walk around the table, pause behind each team member, place her hands on his/her shoulders, and say a few words about why she was thankful for that person. Nothing creepy or inappropriate, just pure love and respect. Unfortunately, most leaders shy away from appropriate physical contact in the workplace, fearful of harassment complaints or lawsuits. Whether it’s a handshake, high-five, or fist bump, find appropriate ways to communicate your thanks via personal touch. Last week I shared four ways to tell if you inspire freedom or fear in your team members. You can tell you’ve created a culture of freedom in your team if you see your people taking appropriate risks, speaking truth to power, readily admitting their mistakes, and sharing their heart with you. What if your team doesn’t display those signs? Does that mean you’ve done something wrong? Not necessarily. In fact, you probably haven’t done anything wrong. The more likely scenario is you just haven’t devoted intentional effort to building the culture of your team. Now that you have an idea that things could be better, here’s a way to get started fostering freedom within your team to enable them to perform at their best. 1. 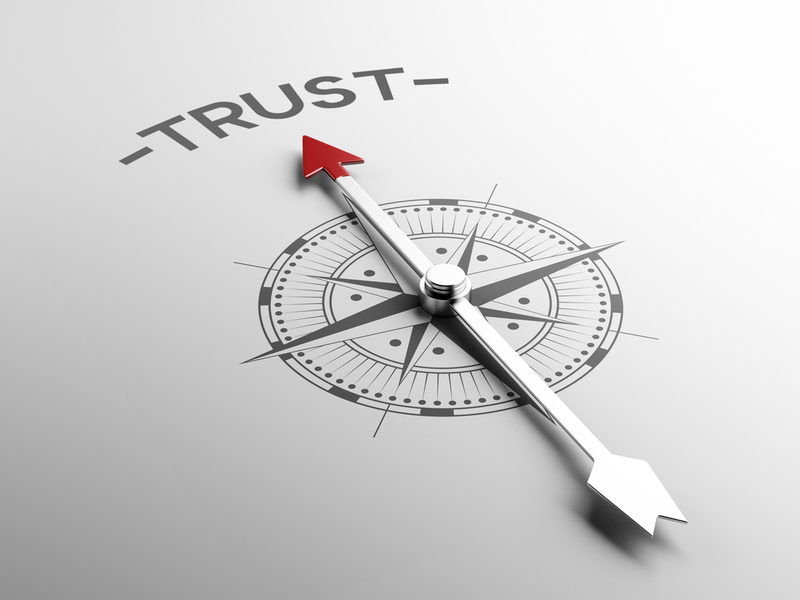 Be trustworthy – The bedrock of any successful leader or team is trust. As Warren Bennis said, it’s the lubrication that makes organizations work. It’s the oil that keeps your team’s engine humming at its best, and without it, your team’s production will grind to a halt. A primary component of your leadership role is to model trustworthy behavior. It sets the tone for how you expect team members to treat each other. Building trust is a never-ending quest. It’s a journey, not a destination. For a primer on being a trustworthy leader, see The ABCDs of Leading with Trust. 2. Be open – To infuse your team atmosphere with a sense of freedom, it’s imperative that you lead with a philosophy of openness. You demonstrate openness by sharing information freely because you know people need information if they are going to act responsibly in their roles. Openness also means being forthright and genuine when you share information or interact with team members. You don’t spin the truth to manipulate the way team members interpret information, but you share the truth candidly and appropriately. Openness means your team members know there are no hidden agendas with you. What they see is what they get (you’re authentic). 3. Establish clear expectations – Fostering freedom within your team doesn’t mean “anything goes.” Freedom doesn’t mean a lack of responsibility or accountability. In fact, it means just the opposite. It means everyone is clear on the expectations for their role. It means they clearly understand what’s in their lane and what’s not. 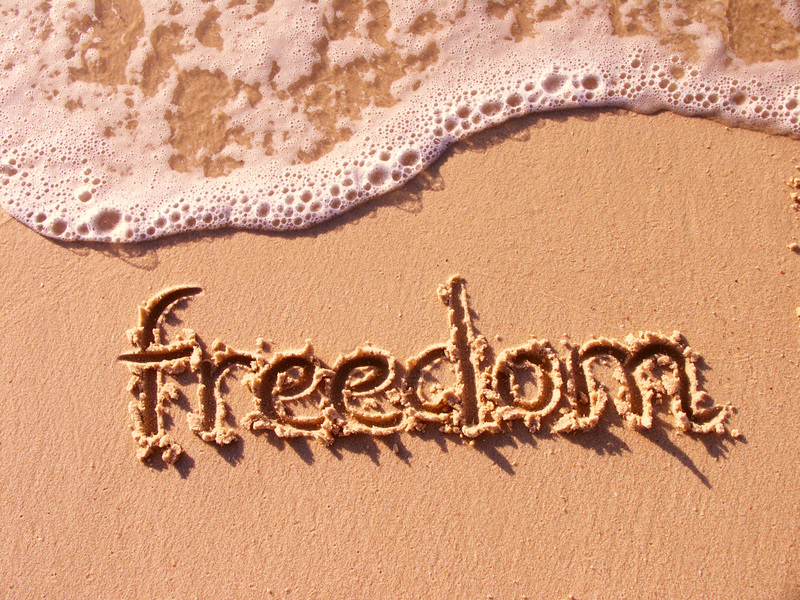 Freedom results because within the boundaries that have been established, team members have the full reign to operate according to their best judgment. If boundaries and expectations aren’t clear, it leads to people being hesitant to act, duplication of efforts, or even worse, someone dropping the ball because they assume the other person is supposed to be responsible. Clear expectations through the use of job descriptions, establishing key responsibility areas for positions, and setting SMART goals are all ways to clarify expectations. 4. Be receptive to others – You cultivate freedom in your team by actively seeking the input of others, truly listening to their ideas, and incorporating their feedback into your decisions and action plans for the team. This isn’t the same as being open, as I mentioned above. Think of openness as what you communicate out to the team, and think of receptivity as what you take in from the team. Team members want to be invested and display a sense of ownership if only leaders will give them the opportunity. Availability is a key aspect to being receptive, because you can’t be receptive if you’re in meetings eight hours a day and never available to connect with your team members. When they do bring ideas or input to you, listen non-judgmentally. Don’t instinctively look for all the holes in their ideas, but explore ways to make their ideas (or parts of them) work. 5. Don’t micromanage – You can excel at being the most trustworthy and open leader, set clear expectations and be receptive to the input of others, but if you micromanage your team to death, freedom will never gain a foothold. Micromanagement creates discouragement and resignation on the part of team members. It beats down the spirits of your people to the point where they “quit and stay” on the job. They’re physically present but not engaged in their work. They eventually develop the attitude of just doing the minimum amount of work acceptable and nothing more. If that’s the kind of team you want, then be my guest. Micromanage away! If it’s not the type of team you want, then avoid the temptation to over control. Your team will thank you for it. Five ways to foster freedom in your team: be trustworthy, open, establish clear expectations, be receptive to others, and don’t micromanage. By no means an exhaustive list but a good start nonetheless. Practice these big five and you’ll be on your way to developing a high performing team.